My friend Natalie has been pushing me for quite awhile to read this book. However, I haven’t been in the mood to read much in the way of fantasy, so although I bought the books months ago, it sat unread on my shelf, until last time I saw her she pushed one more time and I promised I’d read it. This is a Newbury Honor book. I think if I’d noticed that initially, I’d have been less reluctant to pick it up, since that pretty much guaranteed it wasn’t going to be one of those books that starts a series and then goes on and on endlessly without resolution. And really, I should have trusted that Natalie wouldn’t lead me in that direction, yet I resisted, foolishly. Mind you, this is the first book in a series, however, it is completely self-contained, and you could read this book and be perfectly content with never knowing there was another book in the series. Except, of course, for wanting to spend more time with the characters. But that takes a bit. Gen is a thief in the lowest of the king’s dungeon. A superb thief, Gen’s skills are matched only by his stupidity in bragging about stealing the King’s seal on a bet and flashing the seal around as proof. But before Gen can rot away in prison, the king’s magus decides Gen has uses and with the king’s reluctant agreement takes Gen out to steal…something. Interestingly, the only character who is likable from the very start is Sophos, a very young man who is brought along on the adventure as an apprentice to the magus. But slowly, Gen (despite his arrogance and seeming foolishness) grows on you, and you want him to succeed, and you really want to know how he’s going to get himself out of the mess he’s gotten himself into. There are just so many marvelous lines in this tale, it’s hard to pick a couple to convince you why I love this book so much. For instance, they tell tales of the gods and men as they travel. It is one thing to meet the Goddess in the forest and another thing to convince your wife that you have done so. And there’s this bit Gen says of himself. I am a master of foolhardy plans, I thought. I have so much practice I consider them professional risks. That’s quite possible the best quick synopsis of Gen you can get. Natalie was right, this is a fabulous book, and one I highly recommend. 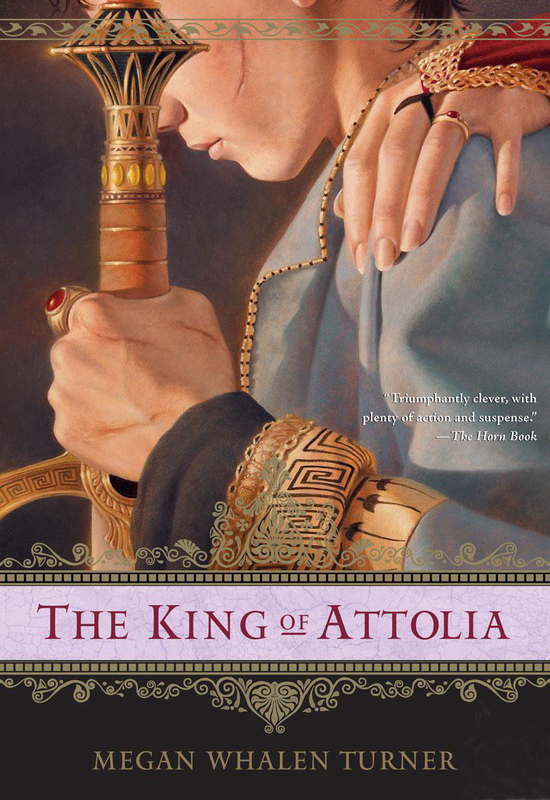 I really loved The Thief, so when I realized The Queen of Attolia was a sequel, I wanted to read it, in the hopes that Eugenides would be one of the main characters. And as with the previous book, I could hardly stop reading. Attolia is in a difficult position. Its ruler is a queen where women tend not to hold powers of position, and she has had to play various lords off one another to retain her position. She is also playing a dangerous game with the ambassador of Medea, trying to balance her ability to retain power within her state, with the need for Attolia to remain an independent nation. As with The Thief, this is an incredibly good book. All the characters are complex, and the contrast between Eddis and Attolia is done extremely well. We see Eddis and why her people love her, yet we come to develop sympathy for Attolia, for the way she must manipulate those around her, to maintain power and the sovereignty of her country. And of course there’s Eugenides, who I loved in the first book, and loved even more in this book. As a word of warning, since this is a young adult book, Bad Things happen to Eugenides. Upsetting horrible things that are hard to understand and deal with. Yet Eugenides does eventually deal with these things, in a way that is both commendable and understandable. 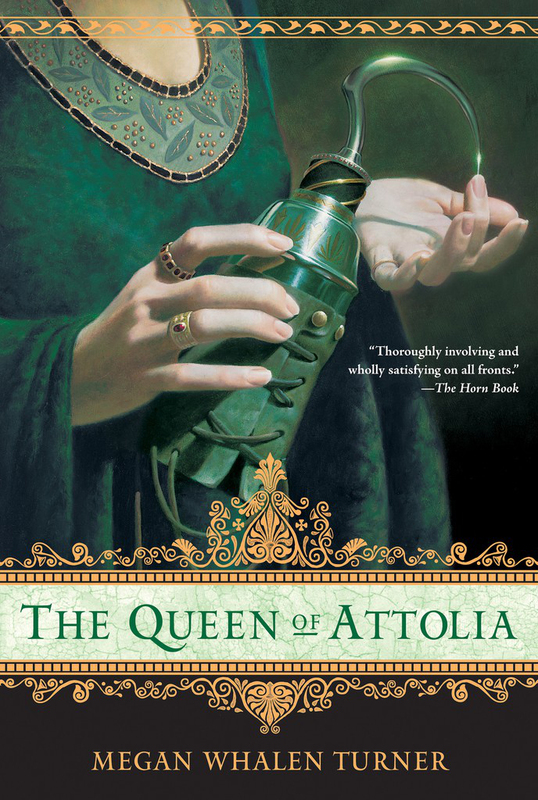 Although in theory you could read The Queen of Attolia without having read The Thief. I wouldn’t recommend it. The sequel to The Queen of Attolia and The Thief, we see Gen this time from the outside–from the view of a guard who doesn’t like–but yet must work with–Gen. As with previous books, there is a great deal of intrigue, and we’re a step removed from it, seeing only what a guard would see. We also see Gen from the eyes of someone who doesn’t know him, like him, or respect him. The result is lovely. And fabulous. And wonderful. 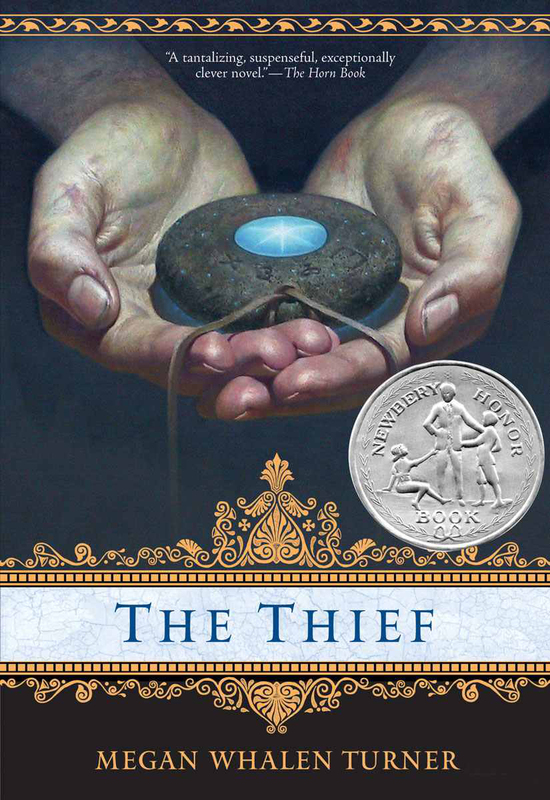 If you have not read The Thief, you must start there. 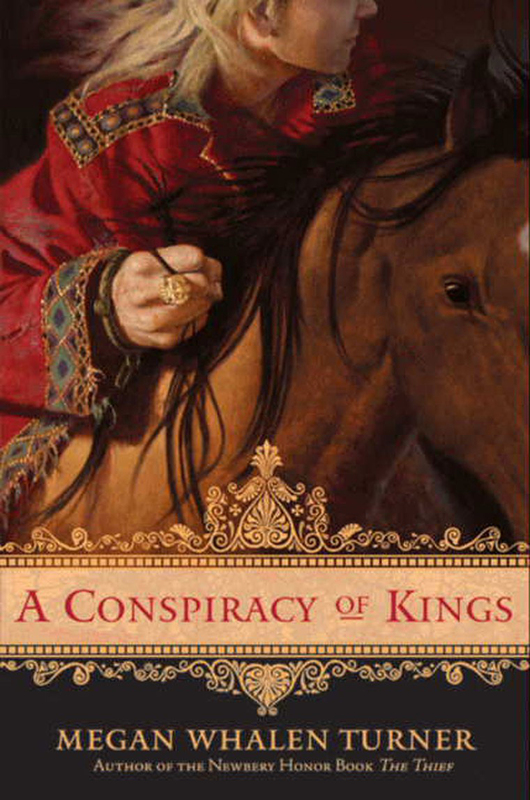 Although Eugenides makes many appearances in this story, it is about Sophos, the heir to the throne of Sounis. Sophos had disappeared, and this story is told, in large part, as his retelling of what happened to him. As with every other book in this series so far, and as with every other book I’ve read by Megan Whalen Turner, the story is excellent. The characters are excellent. There are no punches pulled, despite the fact this is a young adult book, and the tale is complex enough to satisfy any adult. If you have not read this series, you really need to do so. Go pick up The Thief. I promise. You’ll thank me. 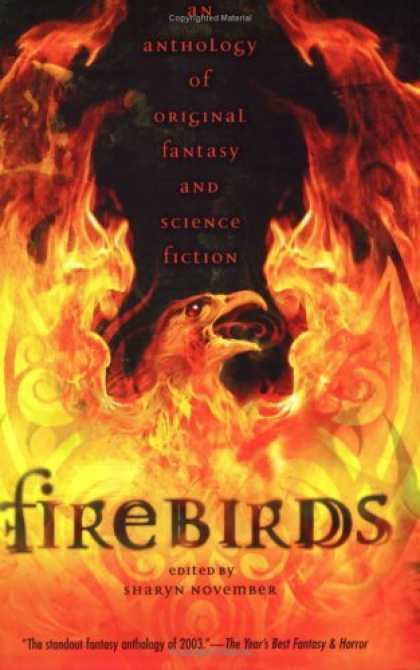 This is an absolutely wonderful collection of fantasy short stories for the pre-teen set. 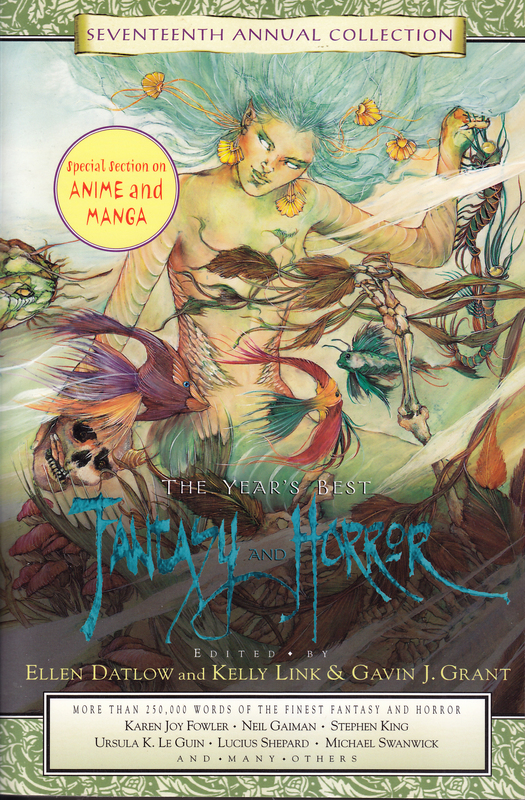 Although some of the stories are dark, they are still fabulous, and far less dark than real life. The story “A Plague of Leprechaun” had a feel reminiscent of Charles de Lint. Someone sights a leprechaun, and as soon as the news his the press, the town is inundated with people searching for the leprechaun and his pot of gold. A poor painter who comes into town to paint the countryside finds himself unable to paint because of this plague. “Leroy Roachbane” was an absolutely wonderful story about a boy who’s “job” at home is to wake up and kill all the roaches so his mother can make breakfast. I wasn’t initially sure where this was going, but loved it. “The Factory” is a very dark and somewhat depressing story, not necessarily for what happens in the story, but for the world in which the characters live. “The Nightmare” was my least favorite story–I never got to like the main character, and felt like he never really learned his lesson. 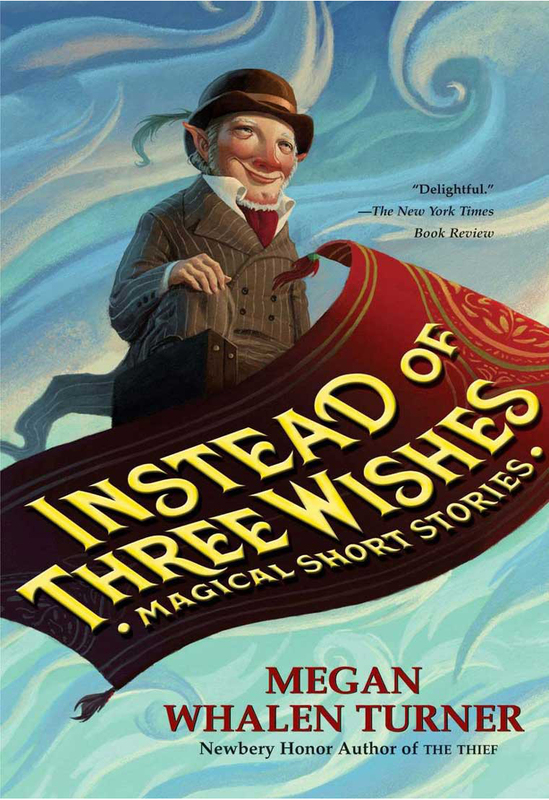 “Instead of Three Wishes” is the title story, and my favorite story in the collection. A young woman unknowingly helps an elf, but when he tries to repay her, she doesn’t want repayment, so he has to figure out how to repay her. The final story, “The Baker King” was just a fun tale.